Imagine the freedom of lasting effortless makeup, everyday! Make your life easier with permanent eyebrows, permanent eyeliner or permanent lip color. Enjoy “wash and wear” makeup that looks natural or glamorous depending on your own personal preference. Gone are the days of having to pencil in or draw on your eyebrows, trying to get that eyeliner straight and having to re-apply lip color all day. With the application of permanent makeup you can free yourself of these time consuming and often frustrating daily activities. 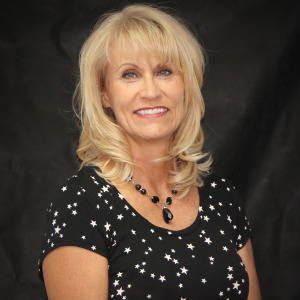 Judy has been a permanent cosmetic practicioner since 1999. She has worked with women of all ages, listening to what they want and sharing with them her knowledge as she walks them through the permanent makeup process. You can put your trust in her experience. To learn more about Judy, click the link below. I would recommend Judy to anyone! She takes time for you and makes sure you’re happy. All of her makeup is so natural looking and beautiful. She really cares and I love my results. No more drawing on my eyebrows. Yay!! I am so happy with Judy's work! I first started going to her in 2005 for both eyebrows and eyeliner, and 14 years later I made a trip back to see her despite living in another state, because she knows what she's doing and I trust her 100%. She numbs the location, is quick yet very precise, and gives me lasting results that are natural looking and beautiful! Judy is the very best!! Please fill out the request form and whether you prefer a morning or afternoon appointment in your message. I will get back with you as quickly as possible. On a busy day, it may be late afternoon or evening before I can reply. I work by appointment only and cannot take walk-ins. I look forward to seeing you! If you are unable to make your appointment, please contact me 24 hours prior to your scheduled appointment. Thank you for submitting your request. You should receive an email or phone call within 1 to 3 business days. Please remove lash extensions 2 days prior to your appointment. You are welcome to put them back on after 1 week. If you are using any lash products (i.e. Revita Lash, Lilash, Babe Lash) or an other growth product, you MUST go off of them 2 months prior to your treatment.